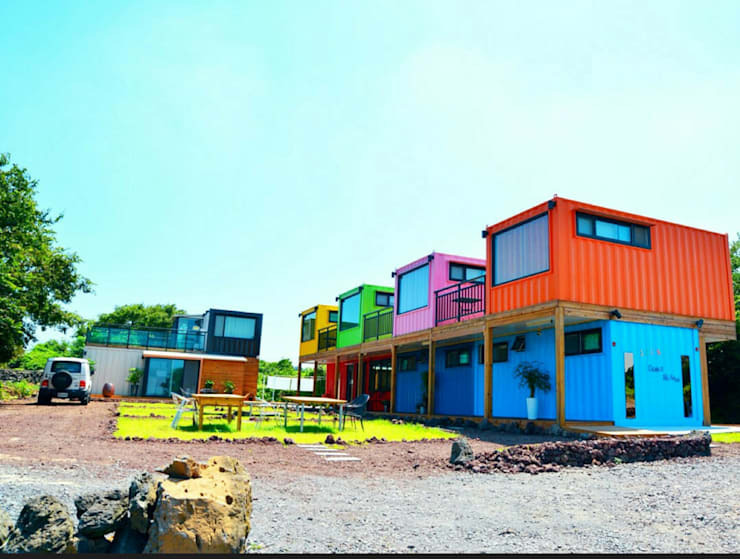 The hot trend of container homes presents a variety of living benefits: living in a simple space, less clutter, being environmentally conscious, building a budget-friendly house, to name just a few. Add to that the major advantage of being able to move (with your house, if it’s small enough) anywhere and it’s no wonder it’s so admired in the architectural realm. Today on homify 360°, we simply can’t “contain” our excitement. Get it?! As there are still a lot of people who view container homes as “living in a cramped box”, we are relishing the chance to prove them wrong. Plainly put: the inventor of the container home (also known as the prefab or modular home) was smart enough not to substitute style or space for function, so rest assured that living in one of these models definitely won’t cramp your lifestyle – in fact, it just might make your neighbours green with envy! Let’s review 6 stunning examples of container homes that each boasts a unique style and image. A picturesque setting, made so charming by those lively colours. Sporting decent finishes for superb living quality, these holiday containers are neatly stacked to save on landscape space, but also for aesthetic purposes. Sturdy wooden beams ensure the safety factor, while the contradictory stacking method creates quaint little terraces for those wishing to soak up the sun, or enjoy their surroundings in the cool shade of their upstairs neighbour’s balcony. One good container deserves another… and then another. The team of Thinktree Architects decided that one simply wouldn’t do, so they put three together to construct a fantastic little setting that is perfect for the smaller family. The volumes’ stacking and finishing almost gives the impression of a life-sized Lego house, in modern colours and with a prime habitable space. Perfect for a unique getaway! 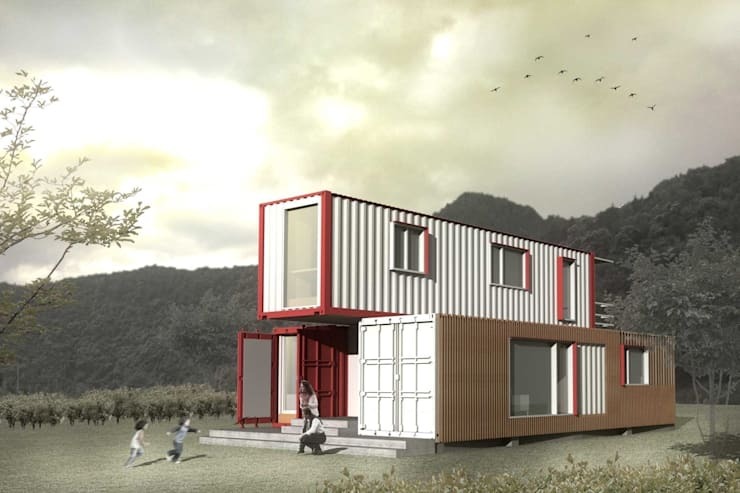 Hard to believe, but this is, in fact, a container home as well! 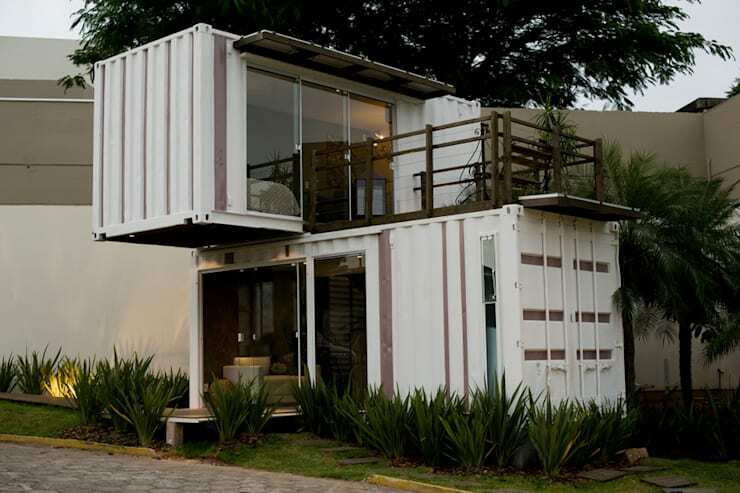 For those who thought container homes couldn't be classy, feel free to kick yourself. 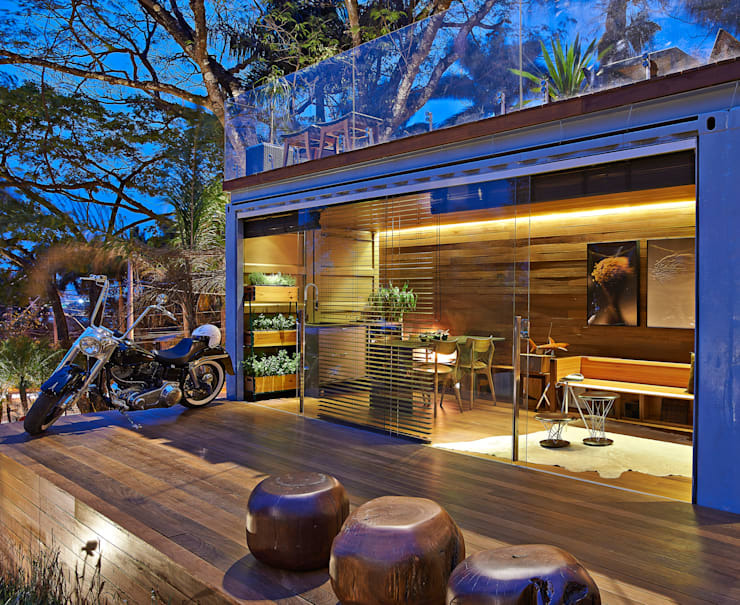 This rustic-style design is known as ‘Pocket House’, affectionately dubbed so by its designer Cristina Menezes. It measures a mere 12.20 x 2.44 metres, yet style evidently needs no set dimensions. Warm wooden flooring, modern lighting fixtures, glass sliding panels… a chic and tasteful option, no doubt! They say ‘what goes up, must come down’. Well, in this case, what can’t fit into your one container can simple be moved to the other. An innovative idea by Brazilian architectural team Ferraro, proving that those who require a bit more space for their appliances are welcome to do so. No need to worry about your limited area, as we have some: Great Furniture Ideas For Small Spaces. 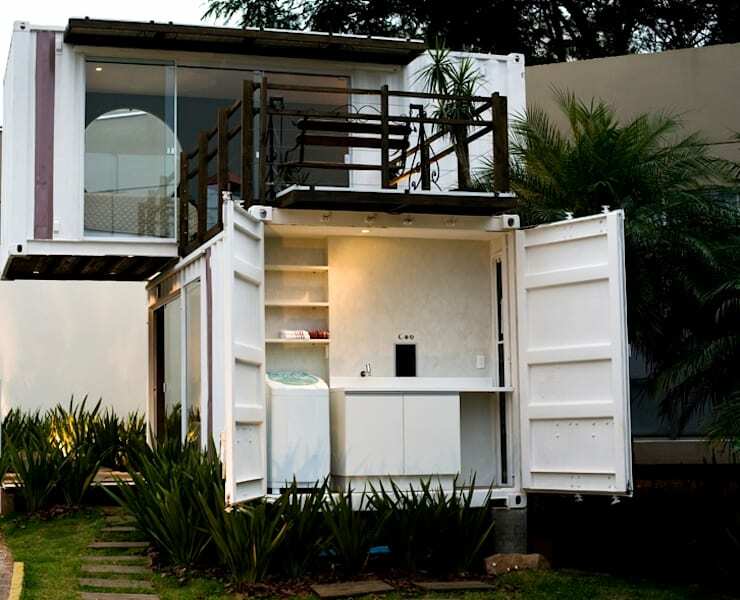 For those who shun the container home as they think it won’t offer a superb interior space, think again. 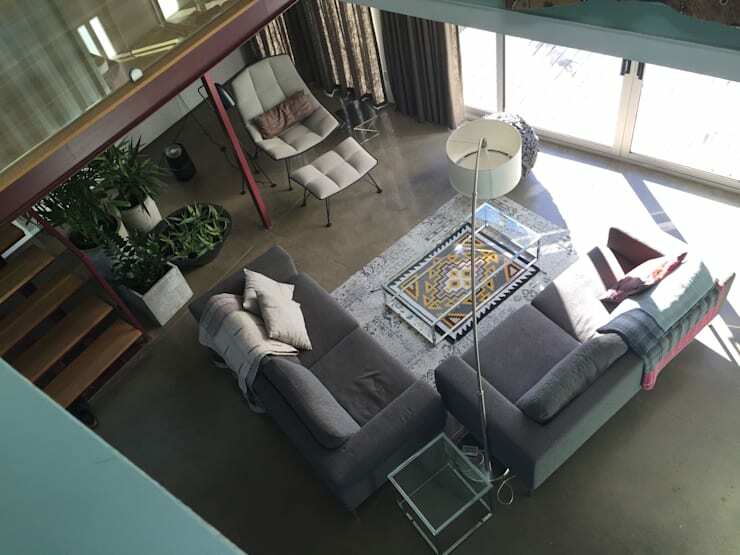 As is evidenced here by the professionals of Ecosa, we have a spacious and comfortable indoor area that has all the characteristics of a convenient domestic space. Don’t miss that polished concrete floor, or the fantastic lighting. And that steel structure gives it that industrial touch, for those who prefer their interior to be more raw and urban. Add in your desired furniture, colour scheme, some vegetation for a fresh and friendly vibe, et viola! Let’s just make a swift U-turn to take a quick second peek at Ferraro’s design. From this angle, we have a clearer view of the top terrace, as well as the rest of the bottom container’s interior. Quite clever how the intersection and stacking of two spaces can result in such a unique and ingenious home. Take your design inspiration to new heights by viewing our selection of balconies, porches and terraces. From a single family unit to an entire student community! German-based company EBA51 shows us how it’s done with this ingenious stacking and packing of containers in Berlin. 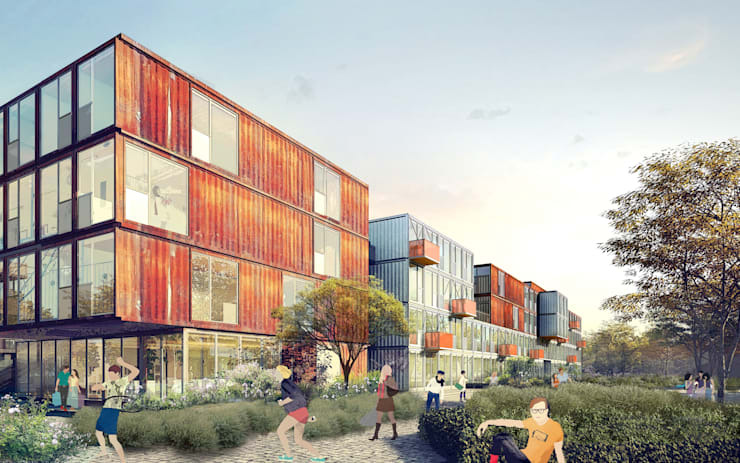 What we’re seeing here is 200 containers taking up approximately 11,000 square metres of space. It presents 235 individual apartments, 65 double apartments and 11 triple ones. Retaining the natural appearance of the metal results in a striking rusty appearance, which, when paired with the glass glazing, turns into a fantastic contrast. Who’d have thought that some abandoned warehouse containers could get a second chance and present such an exceptional residence?